Are you moving to a new home or office? AAA Lock & Key providesU-Haul truck rental services, as well as moving supplies, to get you ready for your relocation. No matter the truck size you need, we have what you are looking for. Our team members are extensively trained in getting you prepped and ready with all the necessary products to make your move easy and stress-free! U-Haul trucks are known in the industry for being reliable and spacious, perfect for both residential and commercial moves. Give our office a call and reserve your truck today! Planning a move can be difficult. Before their moves, many people resort to scouring online classified ads for moving supplies, seeking used boxes from retail stores, or using old newspaper and bubble wrap they have scrimped and saved. You shouldn’t have to go through so much effort just to have adequate boxes, tape, and wrap. AAA Lock & Key has everything you need to complete a flawless move. AAA Lock & Key is the one-stop-shop for everything you need to complete your move. 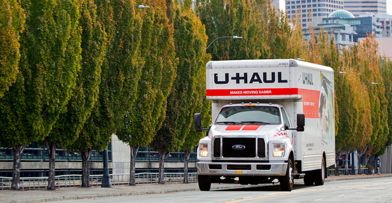 From U-Haul truck rentals to moving supplies, you can rely on us to assist you every step of the way. For more information regarding our U-Haul rental services, call 847-729-3366.